Featuring a combination of rammed limestone, polished coloured concrete and cedar clad timber framing, this home is nestled amongst the rolling hills of a picturesque Margaret River rural setting. This beautiful Adrian Zorzi home embodies all that is expected from a traditional country home and fits beautifully into the native bush surroundings. 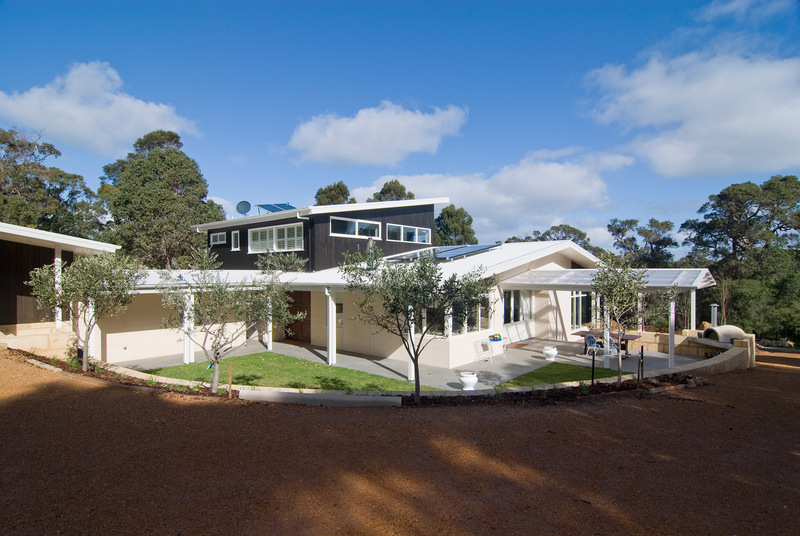 Combining rainwater catchment, solar hot water, solar PV Panels and grey water re-use for garden water, this home is also almost completely 'green' and self sufficient.